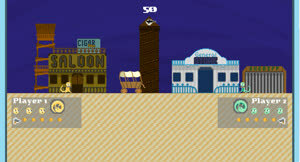 The sand of time are flowing, and only one gun-slinging lizard can be left standing when the final grain drops. 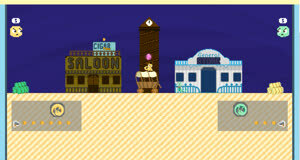 Battle it out with your best friend or your worst enemy inside the hourglass as the sand falls and the very environment around you begins to shift and sink. 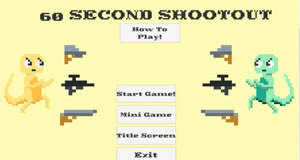 Run, jump, shoot, dodge, and steal your way to victory before time runs out and the sand claims you both.